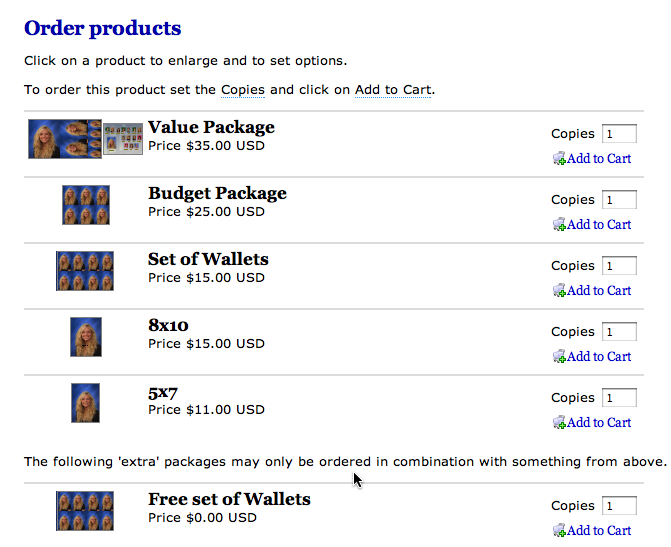 It is possible to make a package available for online ordering only if the customer orders other packages in the offer. For example a photographer may wish to encourage people to order online by offering a free set of wallets with every order. At the same time the photographer needs to prevent the customer only ordering the free wallets. 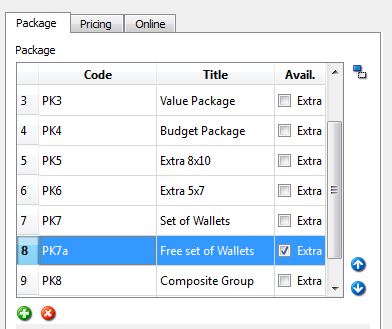 This is achieved in tsAdmin by checking the Extra box in the Avail (short for availability) column for the package.